HIT! 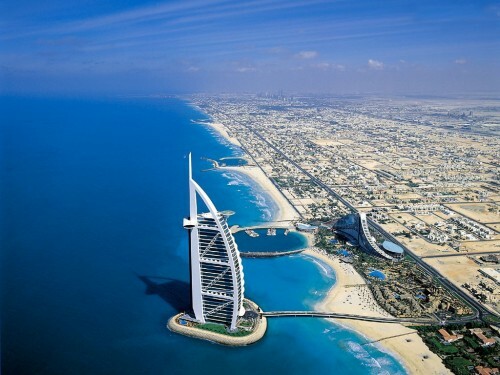 Super cheap flights to Dubai for only €70! WizzAir now offers insanely cheap flights to United Arab Emirates! Return tickets from Budapest to Dubai will cost you only €70 / 21180 HUF! Travel dates are quite ahead in time from September until October 2015. This price is valid for members of Wizz Discount Club (€29 per year, €10 discount per flight for you and up to 9 friends) traveling with small cabin luggage up to 42 cm. It’s worth becoming a member if you travel in group of 2 or more people! 32 kg check-in luggage is available for €24 one-way / €48 for return flight. I can’t found this deal on the Wizzair’s website. Even the example dates are doesn’t match, because they haven’t flights from Budapest to Dubai on mondays. « Cheap flights to Argentina: Buenos Aires for €455!